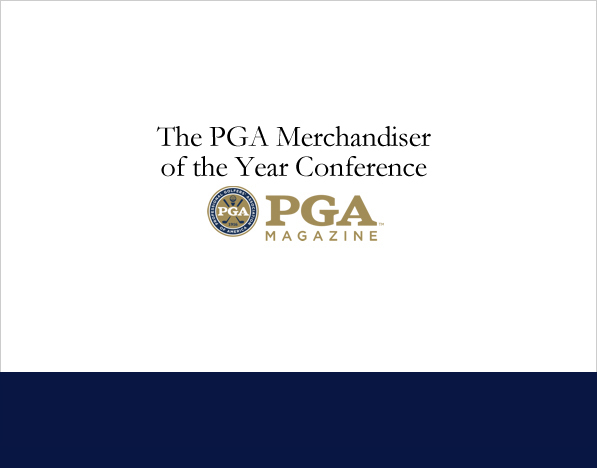 The 2016 PGA Merchandiser of the Year Conference will be held the week of the 2016 PGA Merchandise Show. 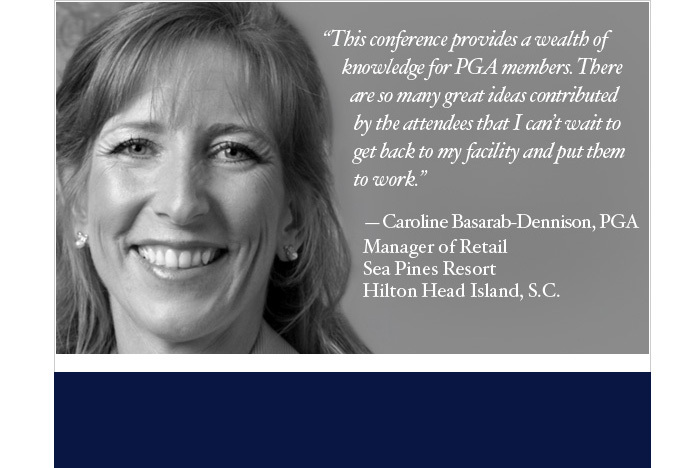 The event will capture over 100 PGA Merchandiser of the Year award winners, AGM members, PGA of America representatives and various industry professionals. 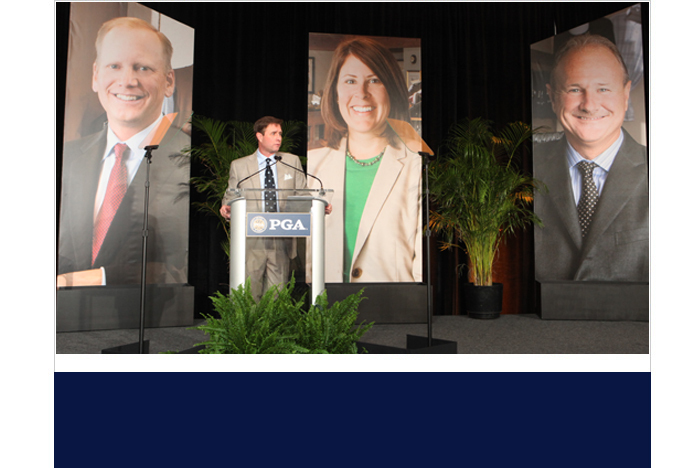 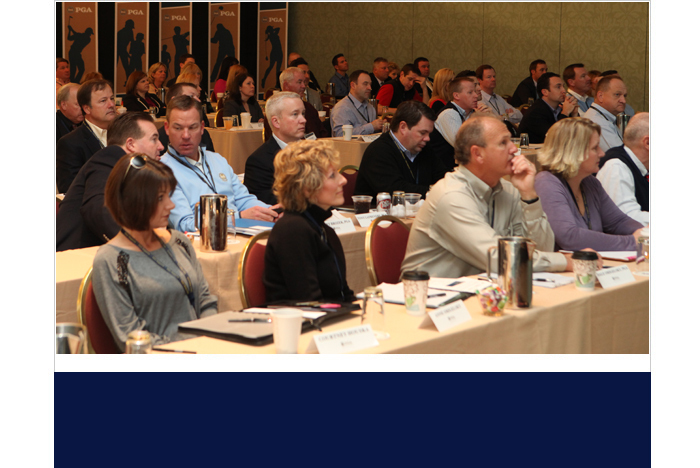 The primary purpose of the Conference is to engage the expertise of the group in identifying PGA best practices in merchandising that can be shared with the 27,000 other member professionals of The PGA of America. 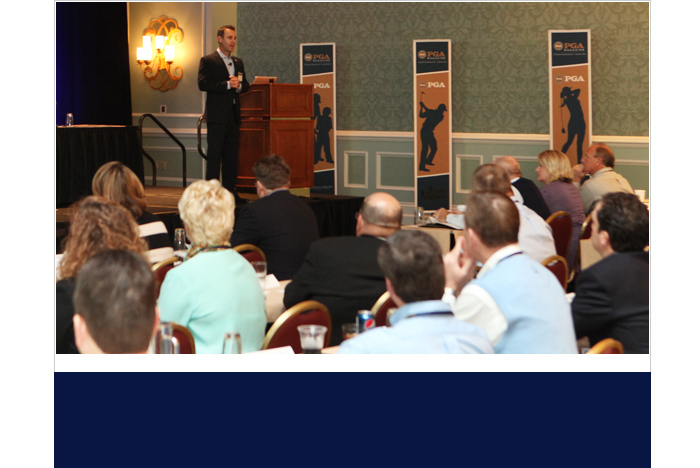 Sponsorship is limited to five category-exclusive presenting sponsors, who will be able to interact with these top professionals during the national conference as well as four regional meetings held throughout the country.